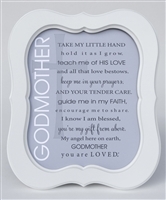 You chose her to play an important role in the life for child. 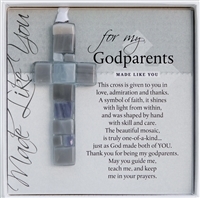 Recognize, appreciate and praise her with thoughtful gifts from you and her godchild on Baptism Day or for other special occasions. 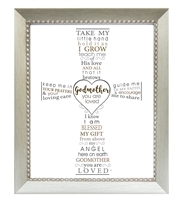 Shop our unique collection of godmother gifts with poignant messages for such an important woman.